Project managers are in high demand. Project managers with Project Management Professional (PMP) and Certified Associate in Project Management (CAPM) certifications? Even more so. Get ready to kick off a new career at the top. Get the Project Management Professional Certification Training for $49.99 at Escapist Deals. You'll have lifetime access to 76 courses and 35 hours of training - and it even counts toward your 35 contact-hour requirement for the PMP. You'll take lessons from a company that's gotten the Project Management Institute's stamp of approval, ensuring you'll be fully prepared to manage projects of any size - and prove it by sitting for the PMP and CAPM certifications. Best of all, there's no rush. You'll have all of the material for life, so you can work at your own pace and come back to it for a refresher whenever you need. Kick off your new career right here. 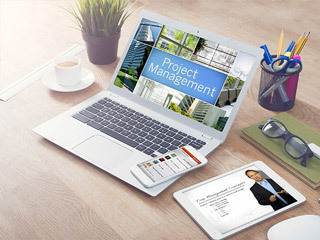 Get the Project Management Professional Certification Training for $49.99 at Escapist Deals.